In a previous article Understanding Gmail the differences between traditional e-mail systems and Google’s Gmail and how each operates were considered. That gave rise to some additional reader questions and enquiries. Naturally, there is a lot more to the subject than may be concisely discussed in a single article, unless the reader wishes to be glued to their screen for the next few days. Content is also controlled by who the article is intended for: Senior Company Board Member; Computer Geek; Private, non-professional, individual; or, as with this article, Independent Author and General Book Reader. The discussion has therefore been limited to the subjects listed in the header. Whenever a user deletes; archives; or sends an e-mail, a confirmation message (notification) pop-up is displayed to the bottom left of the computer screen. This is usually black with blue and white text. Many users have found this irritating because it hovers over, and therefore blocks their view of, the e-mail list. This has proven so annoying that it has lead to multiple users raising the issue within the Gmail Users Forum. To-date nothing has changed though it is hoped the Gmail support team and management are considering the issue. To confirm: At present there is NO option to disable these pop-up notifications. The pop-up is only displayed for a few seconds. As already mentioned it is hoped the Gmail teams are looking into this though there is no indication of that at present. Most users will acknowledge the notification facility is useful, especially when busy, tired or stressed. The delay in Google responding may be the result of them having to consider alternative notification options that will not block visibility of some information. Sometimes, when in a hurry, tired, stressed or distracted by someone or something, a user may mistakenly click the ‘Send’ button before they are ready for the e-mail to go. Or, they may have second thoughts after having done so. Panic tends to be most users immediate reaction however, they need not. Aware of their users ‘humanity’ Gmail has provided an option for dealing with such errors or mistakes: The e-mail may be recalled (cancelled). As mentioned above, when an e-mail is sent a confirming, pop-up notification is displayed toward the bottom left of the screen. In this situation users select the ‘Undo’ option, within the notification, to recall (cancel) the e-mail. Users should be aware, if they are one of those who find the pop-up irritating, extending the display period will obviously result in the pop-up remaining on screen longer. Again, the issue of erroneous actions when tired, distracted, etc. need to be considered. In this instance it is the accidental deletion of an e-mail (message). Thankfully Gmail have given this some thought. When deleted the e-mail is automatically labeled ‘Trash’ or ‘Bin’ depending upon which version of Gmail is in use. Unless the user manually empties the bin or trash the message is retained there for thirty (30) days. During this period it is possible for the message (e-mail) to be recovered. ‘Postpone emails and temporarily remove them from your inbox until you need them. select the date and time when they wish the e-mail to be brought back. Reminder: This facility is only available with the newer versions of Gmail. (Not available with Classic Gmail). It is obvious, even if the resolution reached is not liked or appreciated, Gmail have given due consideration to various elements and functionalities in an endeavour to provide users with the best possible experience. They do appear to take note of customer comments and suggestions even though it may take a while before any action or resolution is seen. It needs to be remembered how large a company Google is, of which Gmail is but a part. As already mentioned there is far more to Gmail than may be effectively discussed within one or two articles. It is hoped readers will find the elements covered in this and the previous article helpful. More information may be found within the official Gmail Help and in the Help Forum (where customers may post enquiries and discuss topics). Readers should be aware, with the latter, it sometimes requires trial and error of different search terms and can take a bit of searching through to find relevant discussions. They should also note there will not always be an answer or a solution. 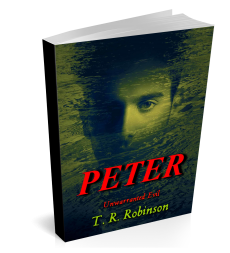 Disclaimer: Beside being users of the system, neither T. R. Robinson Publications nor T. R. Robinson have any affiliation with or to Google. Nor do either receive any remuneration for referring to or mentioning them or their subsidiaries.